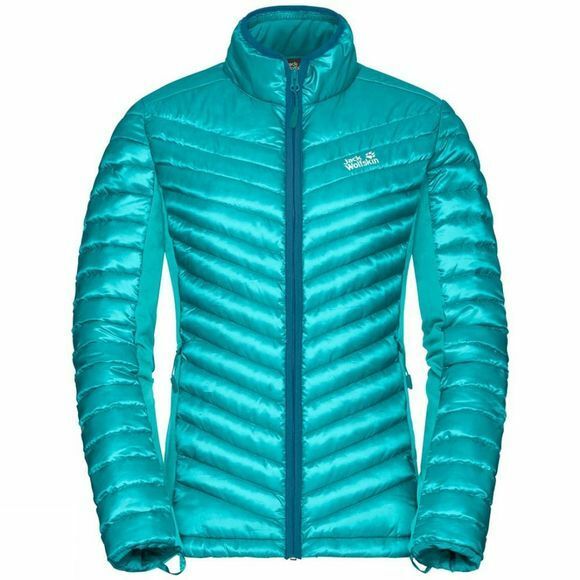 If you start dreaming of pistes, probes and powder as soon as the last season is over, the Womens Exolight 3in1 Jacket from Jack Wolfskin is the jacket for you. This top-of-the-range jacket is designed for ambitious snow sports fans. Teamed with an insulated inner jacket and a breathable hardshell, it is a fully featured ski jacket, right down to the last little detail. The special new fabric has a super smooth feel and stretches as you move, whether it's a steep ascent on skins or a fast freeride line. 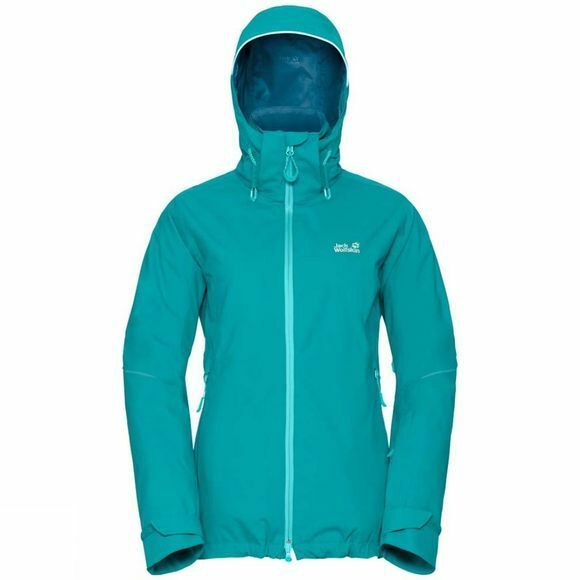 The fabric is 100% waterproof and windproof, and delivers best-in-class wear climate. The inner jacket is a real highlight for winter sports fans. It's filled with Downfiber, an innovative mix of water-resistant down and moisture-insensitive synthetic fibres. This hybrid fill is ultra warm and the insulation performance is not compromised by dampness, which is a distinct advantage when you're dealing with snow and ice. Breathable flex zones at the sides support and enhance the stretch properties of the shell jacket. It is equipped with a snow skirt, a ski pass pocket, a RECCO chip and pit zips–crucial features for on and off piste skiing.